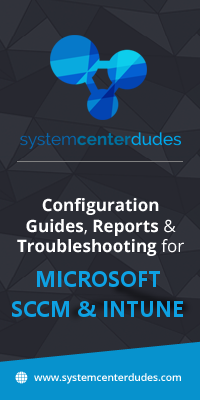 Download and own part 1 to 21 of the SCCM Installation Guide in a single PDF file. The PDF file is a 162 pages document that contains all informations to install and configure SCCM 2012 R2 or SCCM 1511 and later (Current Branch). Use our products page or use the button below to download it . This blog post applies to both SCCM 2012 R2 , SCCM 1511 and later. 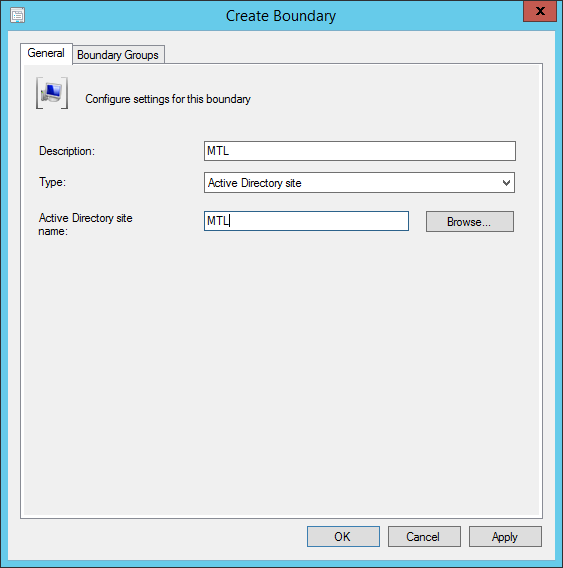 In System Center 2012 Configuration Manager, a boundary is a network location on the intranet that can contain one or more devices that you want to manage. Boundaries can be an IP subnet, Active Directory site name, IPv6 Prefix, or an IP address range, and the hierarchy can include any combination of these boundary types. To use a boundary, you must add the boundary to one or more boundary groups. Boundary groups are collections of boundaries. By using boundary groups, clients on the intranet can find an assigned site and locate content when they have to install software, such as applications, software updates, and operating system images. 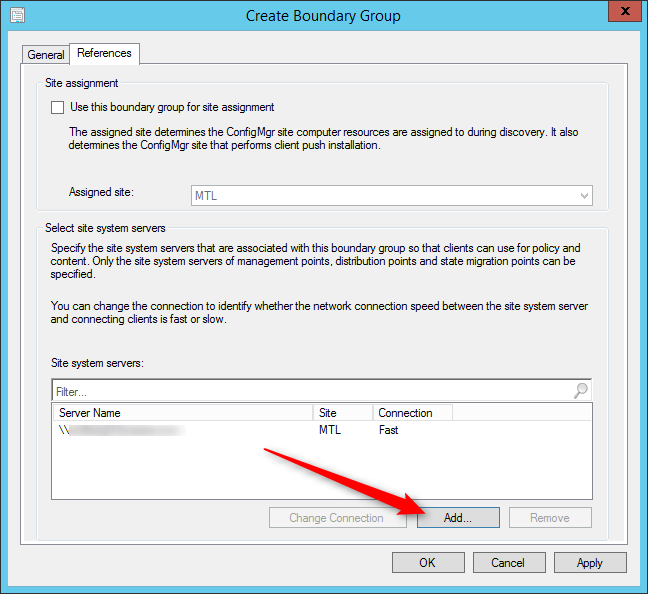 A boundary does not enable clients to be managed at the network location. 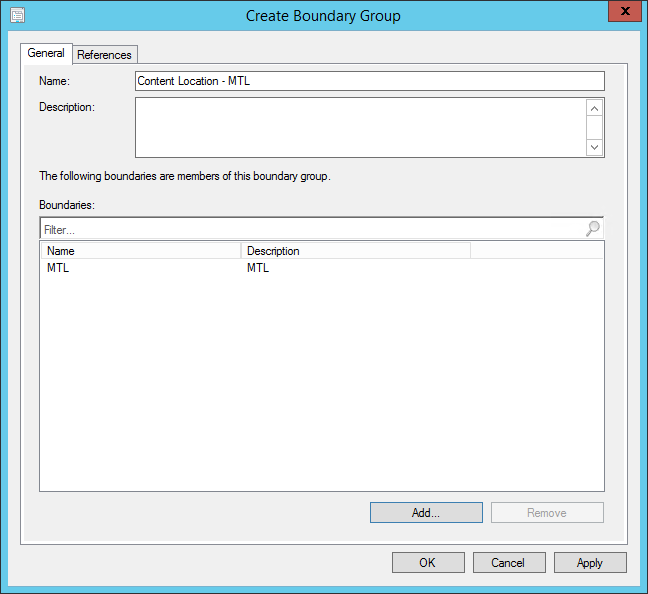 To manage a client, the boundary must be a member of a boundary group. Simple Boundaries on do nothing, they must be added to one or more boundary groups in order to work. A boundary groups is self-explanatory, it’s a group of boundary used for for site assignment and for content location. Beginning with SCCM 2012 R2 SP1, a boundary group can direct your clients to their Distribution Points for content, State Migration Point and Preferred Management Point. Prior to R2 SP1, Content location is used by client to identify available Distribution Points or State Migration Point based on the client network location. Before designing your strategy choose wisely on which bounday type to use. If you’re unsure of which type of boundary to use you can read Jason Sandys excellent post about why you shouldn’t use IP Subnet boundaries. 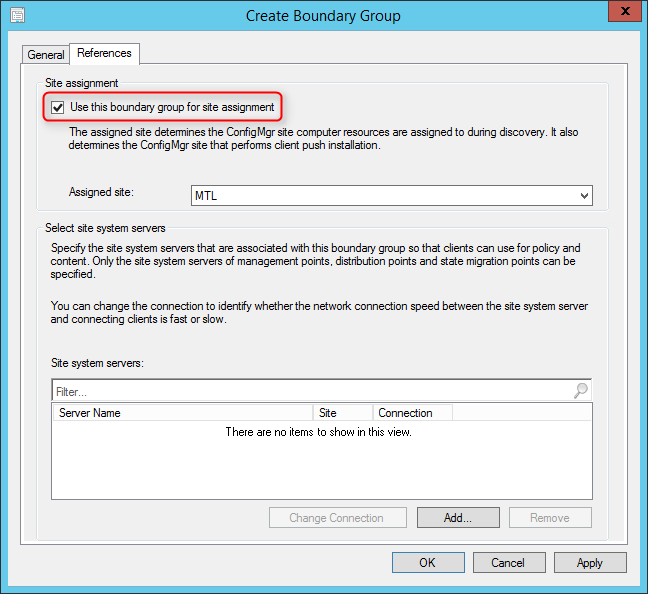 SCCM 2012 supports overlapping boundary configurations for content location. When a client requests content, and the client network location belongs to multiple boundary groups, Configuration Manager sends the client a list of all Distribution Points that have the content. This behavior enables the client to select the nearest server from which to transfer the content or state migration information. Now, we’ll create a Site Assignment Boundary Group and add all those AD Site. That way, all my clients for my 4 locations will be assigned to my Montreal Primary Site. For Content Location, we want clients to get their content locally at their respective location. We will create 4 Content Boundary groups, add only their AD Site Boundary and assign their local Distribution Point. This is a simple but typical scenario. 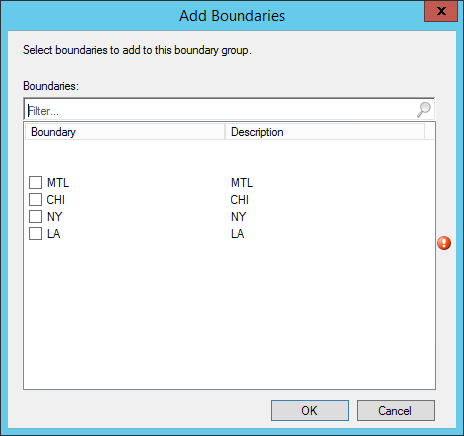 You can have multiples boundaries and Site System in your Boundary Groups if needed. We hope this blog post was helpful for you, leave a comment or question using the comment section. 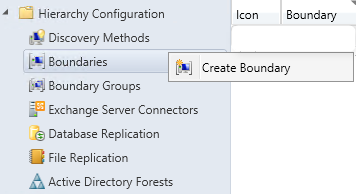 Is there any limit for how many boundaries/boundary groups can be created in SCCM 2012? Firstly let me say I am a huge fan of your blogs. I have a question, for a DP, and SMP this is fine, but when it comes to SUP if you have the SUP only in the primary server, what happens to the other boundary groups as you’re not defining a site server with SUP. Do you need to add it to the default boundary for it to work? what’s the best way to do it. New clients use boundary groups to select software update points. New clients that you install select a software update point from those servers associated with the boundary groups you configure. This behavior replaces the previous behavior where clients select a software update point randomly from a list of the servers that share the client’s forest. Hope you can clarify, thanks.